Dr Mark started his working career as a mechanic before going back to university to become a veterinarian. Mark graduated from the University of Adelaide. Mark's special interest include orthopaedic surgeries, reproduction, complementary and preventative medicine. When Mark is not at work he’s enjoying time with his family, riding a bike or playing with his dog, cats and horses at home. in 2017, Nadia completed Memberships in Small Animal Surgery and enjoys orthopaedics and soft tissue surgeries as well as Emergency and Critical Care. Nadia is also associated with Central Veterinary Emergency, the FIRST Veterinary Emergency and Referral Centre in Central Victoria. When not at work, Nadia can be found sleeping in with her four cats, a Belgian Shepherd named Dante and Chiron the Staffy (AKA Brown Dog). Her diet consists mostly of steak, eggs and exotic fruits. She would also love to have a permaculture farm and the time to play video games. Dr Leigh is your stereotypical feline fanatic, aka crazy cat lady. How could she not be when she has a cat like Slim?! Graduating from The University of Melbourne with honours, Leigh opted for a scenery change and moved herself (and Slim of course) up to Bendigo where she began her career in a mixed practice clinic! Apart from her love of cats, Dr Leigh also enjoys horse riding with Monty, her chestnut stock horse (who enjoys giving cheek), road trips and exploring the countryside. Leigh’s veterinary interests include surgery, reproduction and imaging, all of which allow her to further grow her skills and knowledge at McIvor Road Veterinary Centre. Dr Leigh is well known for going the extra mile to ensure her patients and owners are as comfortable and stress-free as possible while providing an amazing standard of care. Hey everyone, My name is Senura De Silva and I’m a veterinarian from the beautiful tropical paradise of Sri Lanka. 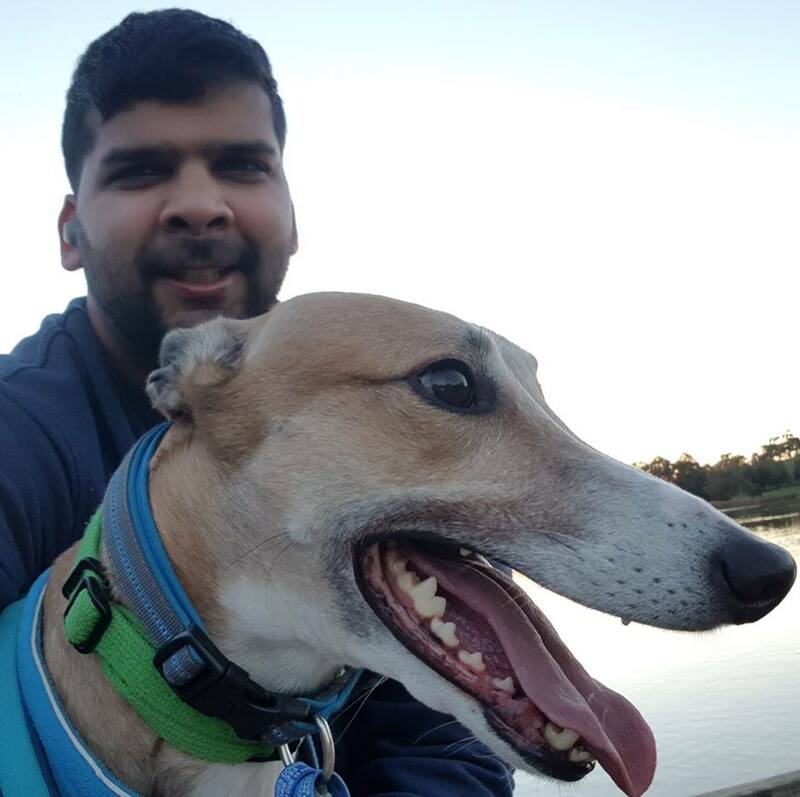 After graduating in Sri Lanka I made the move to Australia in 2017 and have since been working in both small animal emergency and general practice. I enjoy all aspects of veterinary medicine but am most interested in surgery and diagnostic imaging. I have a rescued Greyhound (Dusty) that keeps me quite occupied and entertained. When not at work, you’ll see me walking him 2-3 times a day. I also enjoy trying new food, hiking, snorkelling and playing badminton. Dr Kara completed her Bachelor of Science and Doctor of Veterinary Medicine at the University of Melbourne four years ago. After graduating she moved up to Bendigo, where she lives with her two cats and two rabbits. Kara has a special interest in internal medicine and working with rabbits. In her free time, you can find her playing video games and reading comics.